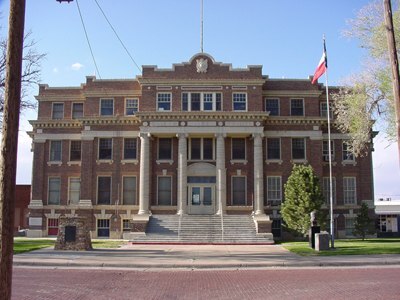 Dallam County Courthouse, Dalhart, Texas. 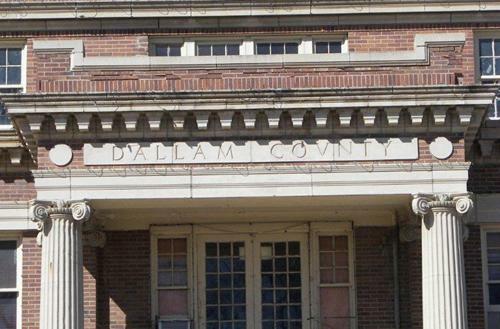 Created in 1876 and organized in 1891, Dallam County was named for Republic of Texas Attorney James W. Dallam (1818-1847). Texline, located on the line of the Fort Worth and Denver City Railroad and the only town in the county when it was organized, served as first county seat. A courthouse was built in 1891. 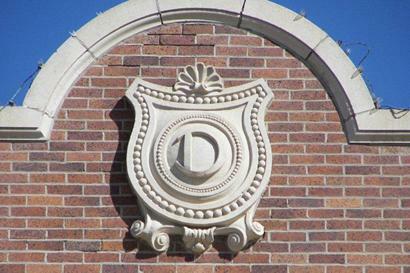 Ten years later, when the Rock Island Railroad built a line through the county, the new town of Dalhart was established where the Rock Island and Fort Worth and Denver City rail lines crossed. 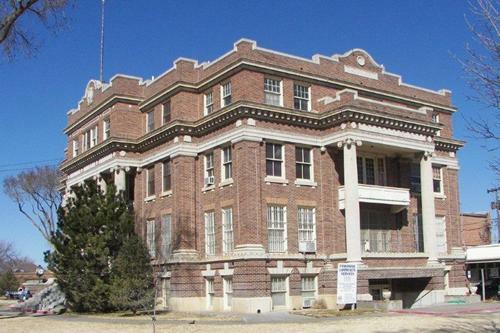 The county commissioners court voted to move the county seat to Dalhart in 1903, and in May that year an election was held to approve bonds for a courthouse. 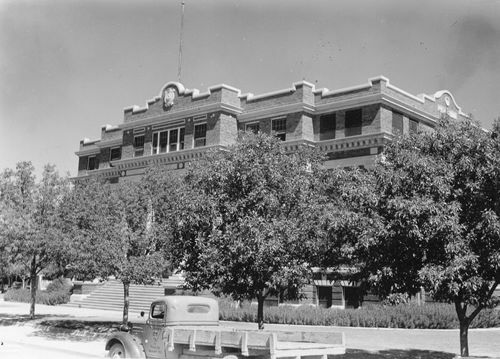 County government soon outgrew the 1903 building, and in 1922 the voters approved more bonds for a new courthouse. Designed by the Amarillo architectural firm of Smith & Townes, this Classical Revival structure was completed in 1923. Built of brick with cast stone detailing, the building rises from a rusticated ground floor to more finely detailed upper stories, and features Ionic columns, curvilinear parapets, and denticulated cornice. 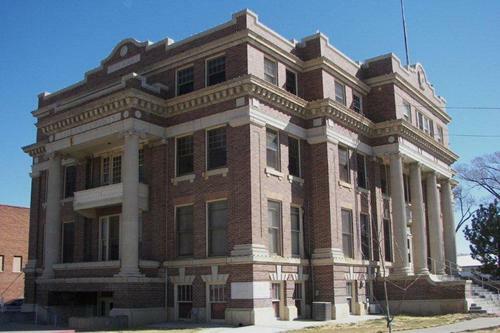 A fine example of its style, the courthouse continues to serve the citizens of Dalhart and Dallam County.